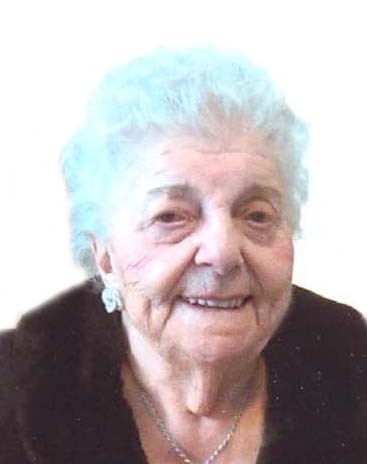 Emma Pumphrey, formerly a resident of Westfort and recently of Southbridge Manor, passed away at the age of 96 years on August 29, 2018. She was raised and educated in Fort William and later married Vincent Pumphrey in 1945. Emma is survived by her Daughter Brenda Podnar (George), grandsons Michael, (Connie), Sean (Michele), Ryan (Jennifer), Adam Bacher (Vanessa) and Ashlee Bacher, great grandchildren Ava, Elise, Marcus, Lauren, Zander, Hannah and several nieces and nephews. Predeceased by parents Augusta and Gildo Roman, husband Vincent Pumphrey, daughter Loretta Bacher and son-in-law Ted Bacher, brothers Ray, Ernie, Orest, sisters Mary, Spar, Cora and Rosie. Emma enjoyed her home and company. She loved to play cards and enjoyed her many trips to the Casino. In later years home was Southbridge Manor where she enjoyed Socializing and being part of that community. Visits from friends and family members were always welcome. Special thanks to her nieces Norma Barro, Lorrine and Norma Lambert for their special visits and kindness towards Mom. Emma was a longtime member of St. Agnes Church and the Catholic Women’s League and also the Venet Society. Funeral Services will held on Thursday, October 25th at 1:00 p.m. at St. Agnes Church, officiated by Rev. James Panikulam. Emma Pumphrey will be remembered in the Blake Funeral Chapel Memorial Grove. Annual dedication service Sunday, June 9, 2019. BACHER: Loretta Bacher of Calander, Ontario passed away unexpectedly at her home on July 25th, 2018. Loretta was born, raised and educated and worked for some time in Thunder bay until she married Ted Bacher. Loretta is survived by her son Adam Bacher (Vanessa) of Woodstock, Ontario. Daughter Ashlee of Calander, Ontario. Also surviving is Grand Daughter Abbey, Sister Brenda Podnar (George) several nieces and nephews. Predeceased by her husband Ted, her parents Vincent and Emma Pumphrey. Loretta had a quiet sense of humor and loved life. She enjoyed having fun. Her main interests and love was her home and family and talking for hours on the phone with her sister. She will be sadly and greatly missed by her sister Brenda Podnar.